Summary: It's far from a great movie, but I found myself kind of enjoying it all the same. Low-budget science-fiction is as integral to the genre as much as the multi-million dollar space operas that clog up cinemas every summer. Roger Corman made it an artform of sorts in the 60s and 70s with the likes of Attack of the Crab Monsters and It Conquered the World, while throughout the 80s Charles Band’s studios pumped out such macro-budgeted classics as Zone Troopers and Trancers (though Corman and Band made their fair share of dross of course). Originally released in installments on the web, the bafflingly-titled 2 Epic takes ‘low-budget’ to a new level – the movie looks like it was made for less than a price of a chicken kebab. A low budget doesn’t necessarily mean a bad movie of course – but the other components of the movie need to work that much harder to compensate. Suffice to say that despite the obvious effort and enthusiasm that’s gone into 2 Epic, there’s nothing that really compensates for its technical shortcomings. The plot sees Peter Ward answering a knock at his door one day only to find his apparent double staring him at the face. The stranger insists that all will be explained if he drives up to Leeds – which he promptly does, facing a few bizarre incidents along the way (a vanishing fire, a renegade power cable – that sort of thing). Then they er, fly off to the moon and things stop making much sense (it’s all something to do with the Big Bang apparently). 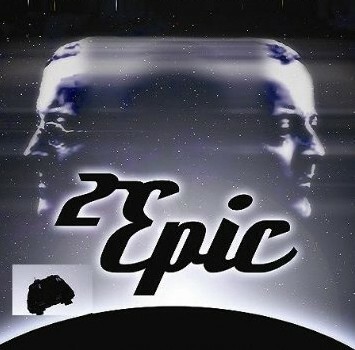 2 Epic isn’t without its strengths. While most of the supporting acting is appalling, Peter Ward for makes a convincing enough lead while Annabelle Ward is amiable as a hitch-hiker he meets on the journey. Paterson’s direction shows flashes of promise too, with the occasional inventive piece of camerawork. Plus there’s an improbably great soundtrack (little wonder that it swells up during so much of the movie, often at the most unlikely of times). You’ve also got to applaud the filmmakers’ considerable ambition of attempting to flesh out a complex sci-fi opus on such a shoestring. What lets 2 Epic down isn’t the poor special effects (though the film does contain the worst CGI you’ll see in your life) but the script, which veers from cliché to nonsense with a number of moments that should never have made final cut (references to fan fiction and the mistakes in Signs feel totally forced, as if it’s something the film-makers want to wedge into the action even if it’s at the most inappropriate opportunity). And the final five minutes, with the hero winning over an improbably attractive girl – who, hitherto, has played no part in the movie – is much more unbelievable than any of the scenes set on alien planets. It’s no mean feat to get a self-financed movie completed, edited and put out there, and in this respect 2 Epic is an achievement of sorts. It’s far from a great movie, but I found myself kind of enjoying it all the same – possibly something to do with the fact that I devour bad movies like an anteater sucking up ants.